Greene Evans, Fisk Jubilee Singer, Memphis City Councilman and Tennessee State Assemblyman, was born somewhere in Tennessee and emancipated after the Civil War. Evans attended night school at a Memphis freedmen’s school until it was burned down in the Memphis Riot in 1866. After working briefly as a hotel porter, Evans proceeded to Fisk University in Nashville, Tennessee, where he paid his way through school working as a groundskeeper. Dignified, fastidious and enterprising, Evans taught at a small school in the summer near the Tennessee-Mississippi border. 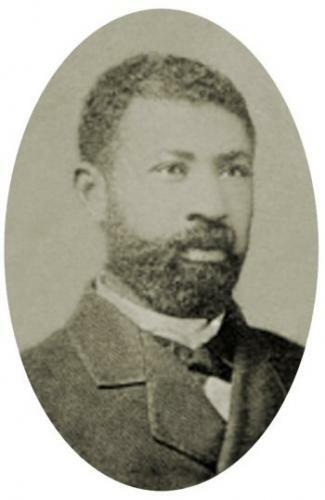 Scrounging timber from the surrounding woods, he built his own desks, benches and a schoolhouse which at least “did not lack for ventilation, for a bird could fly through anywhere.” Evans joined the first Fisk Jubilee Singers in 1872 and he proudly participated in the first tour that took them to eight states and Great Britain. Quitting the troupe just as it was beginning its second tour; Evans left Fisk University and returned to Memphis, Tennessee to make his way in politics. As a protégé of Ed Shaw, the black Memphis saloon-keeper and political boss, Evans was elected to Confederate General Nathan Bedford Forrest’s old seat on the Memphis City Council in 1879. Six years later, he was elected to the Tennessee General Assembly, one of the “free men of high class” who fought against the depredations of Jim Crow. Though he served in the state legislature for only two years, Evans proposed bills allowing blacks to work on state road crews and appointing an assistant superintendent of education to oversee black public schools. Neither of his bills was passed. Hounded by white supremacists, he joined the thousands of Tennesseans who migrated north, and died in Chicago in 1914.